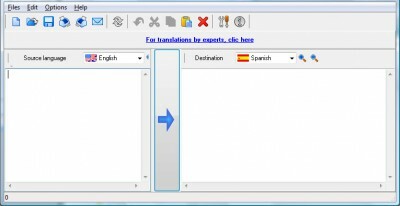 Make automatic translations to 14 languages. It includes multiple features, like send translations by email, store them, and many others. Free Translator Service from and to German, Chinese, Italian, Spanish, Greek, Arabic, Dutch, Portuguese, and Russian. It helps you to understand foreign languages. klu sape2 ada yg lg bagus, meh la share sini..
kalau gne google nyer leh translate dr BI ke Malay..
ni bole translate arab, best sikit. tak kesa la, masing2 nilaikan sndiri la ye..